Another major Canadian bank is predicting Alberta's economy will return to growth in 2017, after two years of recession. The BMO Blue Book report for October says Alberta's real GDP shrank by four per cent in 2015 and is expected to contract by another 2.3 per cent by the end of this year, before rebounding in 2017. The report forecasts 2.3 per cent growth in Alberta next year — second only to B.C. 's mark of 2.5 per cent. BMO senior economist Benjamin Reitzes said Alberta's economy bounced back slightly in the third quarter of 2016 and he expects the trend to continue into the new year. "You're seeing kind of some very early signs that broader investment is improving, that oil prices look as though they've bottomed and they're back over $50 today, so that's good news," he said. But, he cautioned: "We're not expecting an investment boom, by any means." 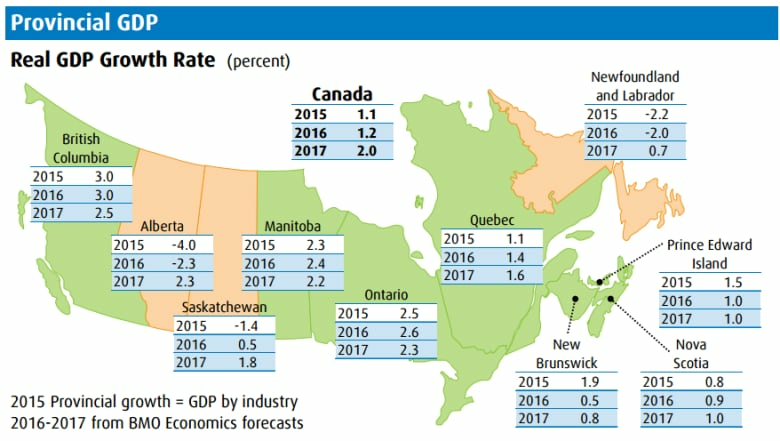 "A return to the robust four per cent to five per cent growth clip seen prior to the oil price shock is unlikely in the near term," BMO chief economist and managing director Douglas Porter says in the report. Last month, TD Economics released a report forecasting that Alberta's real GDP would grow by 2.2 per cent in 2017 and 2.3 per cent in 2018. "The good news for Alberta is that the worst is in the rear-view mirror," that report read. 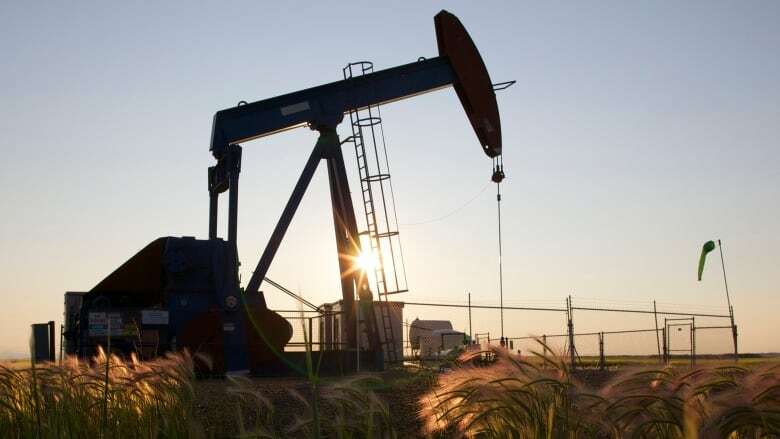 The TD report predicted Alberta's GDP growth would be the highest of all provinces for the next two years, but also noted that it would mark only "a muted rebound" from the economic tailspin the province has been in since oil prices crashed in late 2014. "While certainly an improvement, the pace of growth is only about half that recorded coming out of the previous recession and economic activity will still fall short of 2014 levels," it reads.